Rex Horst, President of Northside Rotary Club presented Rotary Member, Jim Stokes the Rotarian of the Year award at our weekly meeting on May 14th. 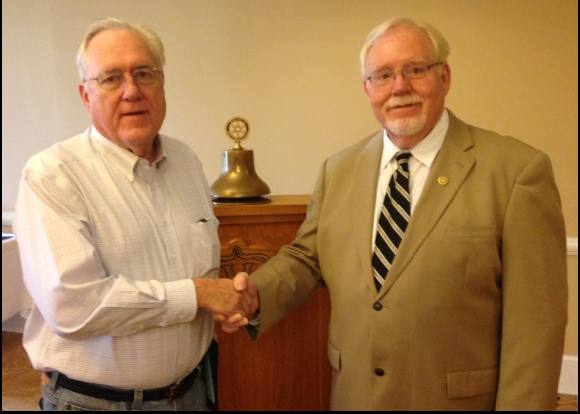 Jim is an active member of Northside Rotary and serves as a director on the board of directors. He is also involved in our club's EAFK program and is a sponsor at Dudley Elementary School for the EAFK. In addition, at Dudley he is working with the school to develop a book program to where every student will have access to books.